The first time I smelled Miss Dior EdP in its bottle, I was not impressed. It seemed too sweet and musky. Definitely unoriginal. Even after applying it to my skin, it seemed to be uninteresting. This test was during the winter. Once spring came, I gave it another try… The sullen winter mood craving for something dramatic or the dryness of the winter air must have prevented me from appreciating Miss Dior’s spring/autumn spirit. It is beautiful and it dances with the skin’s chemistry. Miss Dior is a sweet perfume. Not candy sweet, however, but citrus sweet. It opens with Italian mandarin orange, followed by the classic jasmine and rose pairing. These three main notes make Miss Dior very likeable, but the magic comes from it being centred around patchouli. Patchouli can behave very differently, but in most cases it adds a warm and woody character and depth. Depending on what kind of soap and lotion are used, Miss Dior will gravitate to a specific quality. I wore this perfume atop Philosophy Amazing Grace Firming Body Emulsion after washing with L’Occitane Shea Butter Extra Gentle Soap in Lavender, and was delighted to find a smoky quality in the drydown. Here, patchouli and the fragrance’s warm spicy qualities were accentuated. This combination made Miss Dior a definite autumn fragrance. When I tried using the same soap in Verbena, the perfume became brighter, bubbly, and definitely more suitable for late spring. The citrus aspect was brought forth. I imagine that an unscented or musky soap and/or lotion may highlight it’s white floral or even rose (which is very faint) aspects, but this is merely a guess. Its lasting power is 10 hours and it has a moderate sillage – within arm’s length, approximately. 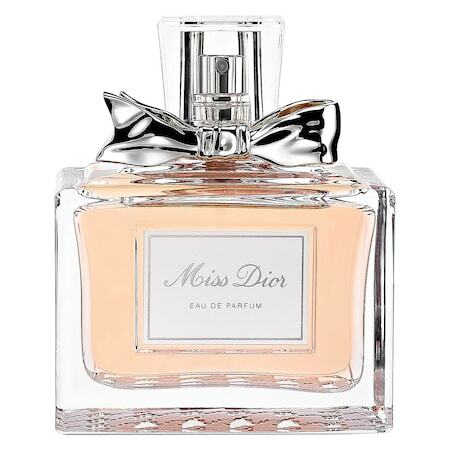 Miss Dior is at the same time a highly likeable, yet chameleonic perfume. Personally, I love it and enjoy wearing it. It is also perfect for any occasion. Winter skin can be so very dry. The skin around the nails may suffer worse than other areas since every time the hands are washed, oils are stripped and skin is dried. The cuticles don’t stay even after a manicure if the conditions are very dry. Moisturizing hand creams for very dry hands may not help enough to cure the problem. The overnight Dior Creme Abricot nourishes the cuticles to health. They look supple and neat after only one night of cream application. The 10g seems like a very little amount, but I won’t be surprised if this cream lasts me for several years of daily use, as only a tiny amount is needed to cover both hands. In addition to its intended use, it can also be applied on dry skin (ex. feet, elbows) to soften it. Creme Abricot is a must in dry climates, during dry/cold seasons, and for people with messy cuticles. Dior Creme Abricot Fortifying Cream for Nails: 0.35oz (10g) for C$27.00 @ Sephora.ca. 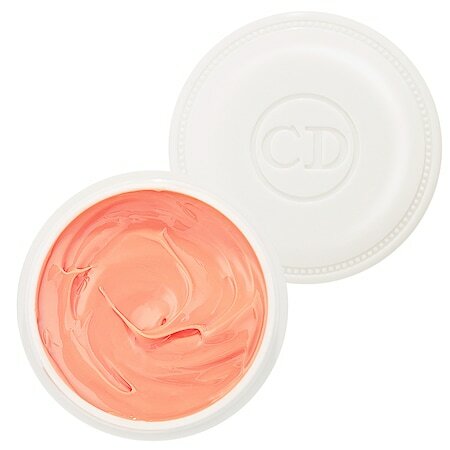 Dior Creme Abricot – Fortifying Cream for Nails: 10g for £16.15 @ Escentual.com. I love the natural look. Highlighters illuminate the complexion and bring attention to selected areas. Personally, I place it on my cheekbones to slightly widen them and give a more heart/triangular shape to my face. Just a preference. For me, powder luminizers are easier to use because a brush disperses particles evenly. Diorskin Shimmer Star (a rectangle in reality) is the most natural-looking highlighter that I’ve come across, with a powder that is difficult to overuse. Once on, it doesn’t look like a product on the face. Instead, the skin appears to glow, and this effect is especially marvelous in sunlight on a bright, snowy day. It can also be used to highlight the whole face – a light application will result in a dewy complexion. Rose Diamond contains lanes of pearl, pink, mauve, and soft plum that can be used alone for precise colour or mixed together for balance. For a natural look, this is one of the best luminizers available. For something super-bright, Benefit Cosmetics High Beam is a great option. 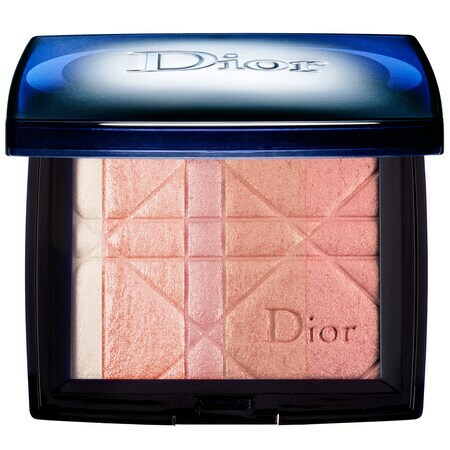 Dior Diorskin Shimmer Star: 0.35oz (10g) for C$45.00 @ Sephora.ca.